How many of you been to Jurong Point anyway? Not many I reckon. Jurong Point is located in the wild wild west of Singapore, just beside Boon Lay MRT. So unless you live in the west like me, chances are you never been there before or maybe just once or twice in your life time. 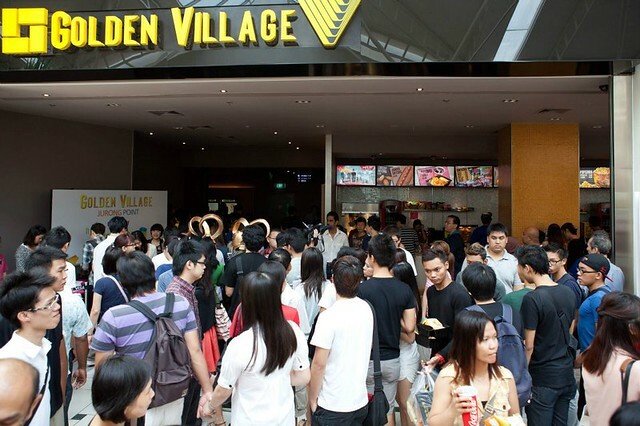 So it was nice to know when OMY Blog club invited me to a movie screening at the newly renovated GV Jurong Point on Labour Day. I have been to many movie previews/gala premieres but they are usually in town so it’s awesome to be see one held in the heartlands. Especially one that just 15mins bus ride away from my house. So just to briefly touch on some of the new/improved features of GV Jurong Point – you have wider leg room, stadium seating with clear sightlines, 7.1 Dolby Sound, Latest EAW speakers, All Digital screens bah bah bah. OK with that done, so what movie did I get invited to? From the title of this post, it’s obvious that it’s the Avengers I swear that everyone is watching the Avengers on this public holiday. My Facebook wall is flooded with Avengers related posts on 1st May. Don’t know what are the Avengers? Watch the trailer below.